OKLAHOMA CITY, OK – The ABC documentary series, “The Last Defense,” executive produced by Academy award winning actress Viola Davis, will air the three final episodes beginning Tuesday, July 10 at 9 p.m. Central Standard Time (CST). These episodes, directed by Amani Martin and produced by Gemma Jordan, focus on Oklahoma death row inmate Julius Jones. The program premiered on ABC in June with an in-depth look at the case of Darlie Routier on Texas’ death row. Co-executive producers Davis and her husband Julius Tennon founded JuVee Productions in order to “give a voice to the voiceless through strong, impactful and culturally relevant narratives.” The couple have partnered with XCON Productions and Lincoln Square Productions for this project. According to Davis, the seven-part docu-series spotlights serious flaws in the American justice system – and in particular the high rate of exonerated death row inmates. The National Coalition to Abolish the Death Penalty states that since 1973, 162 individuals have been exonerated from death row in the U.S. Ten of those are from Oklahoma. Airing Tuesday, July 10, “JULIUS JONES: The Crime” examines how in 1999, Jones, an African American 19-year-old former high school basketball state champion and star football player, was arrested days after a businessman was shot to death in Edmond, Oklahoma. At the time of the murder, Julius was a student at the University of Oklahoma on a partial academic scholarship, hoping to make the basketball team. Nineteen years later, this episode will feature Tommy Griffin, father of NBA superstar Blake Griffin, who coached Julius; along with interviews from Julius on death row who tells his version of events as federal public defenders Dale Baich and Amanda Bass retrace the steps that led to what they claim is a miscarriage of justice. “When you’re facing an execution, and that execution is carried out, and we later find out that you’re innocent… there’s no undoing that wrongful conviction,” Potkin added. The world premiere of The Last Defense was held at the 2018 Tribeca Film Festival in New York City on April 27. The screening was followed by a panel discussion with executive producers Davis, Tennon, Christine Connor of XCON Productions, and Jones’ attorney Dale Baich. 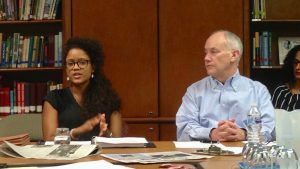 In Jones’ case, his current attorneys believe that race and the juror’s pre-conceived notions of him, were leading factors in the result of his trial. 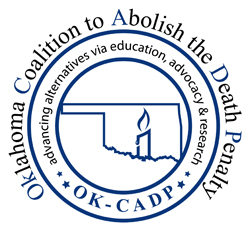 As reported by The City Sentinel, the referenced new study (now published in the Journal of Criminal Law and Criminology – “Race and Death Sentencing for Oklahoma Homicides Committed Between 1990 and 2012”) – documents patterns and practices in state death penalty cases that violate federal judicial precedents, specifically binding on lower courts, regarding constitutionally impermissible impact on black defendants. Authors of the study are Michael L. Radelet (University of Colorado-Boulder), Susan Sharp (University of Oklahoma), and Glenn Pierce (Northeastern University). Based on this report, Jones asked the Oklahoma Court of Criminal Appeals (OCCA) on September 22, 2017 to consider whether or not his death sentence violated his rights under the Oklahoma and federal constitutions. However, that appeal was denied. In a supplement to a September 22, 2017 filing for Jones, one author of the study emphasized the information is both new (previously unavailable) and relevant to the Jones case. These points have been made anew in the writ of certiorari filing at the U.S. Supreme Court. According to Baich, after rescheduling the Jones case for consideration fourteen times, the Supreme Court has carried it over for decision until the fall, at or around the time of the start of a new Supreme Court term. 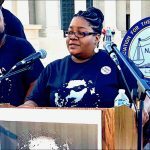 “The second and third hours will explore police and prosecutorial misconduct in the case, racism in the criminal justice system, as well as during Julius’s criminal proceedings, and raises serious questions about whether Julius was wrongfully convicted,” Baich added. In “JULIUS JONES: The Trial” (airdate: July 17) the State calls a witness, Christopher Jordan, who testifies he was there when Julius pulled the trigger. Julius and his family watched as his defense takes this last opportunity to save him, but there are missed opportunities to hear Julius’ side of the story, and a critical piece of evidence is never shown to the jury. 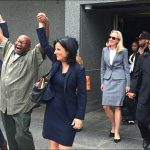 As the clock is ticking for Julius, two witnesses have come forward in his favor since the conviction, and he now holds out hope thanks to his current lawyers. Davis said ‘The Last Defense’ hopes to shine a light on these case discrepancies for viewers and potential jurors. In the final episode (July 24), “JULIUS JONES: The Fight” will show that as Jones presently waits on death row at the top of the state of Oklahoma’s list of impending executions, his attorneys Bass and Baich are in a race to win a new trial as new evidence comes to light. “After learning about Julius Jones’ story on ‘The Last Defense’ and hearing directly from him, we are confident that when viewers see the final episode of his case, they will be shocked by the new information we have uncovered; information that his lawyers believe could ultimately compel the courts to revisit his case,” said Executive Producer Gemma Jordan. To read the entire article, visit The City Sentinel online. WATCH: The Last Defense – Julius Jones episodes online.